The Fair Trade Federation is a membership organization of businesses who practice 360° fair trade. FTF membership represents an entire organization, not just an individual product. This commitment represents a high bar of fair trade, where each and every business decision is made with the well-being of artisans and farmers in mind. The Fair Trade Federation is the trade association that strengthens and promotes organizations in the US and Canada fully committed to fair trade. The Federation is part of the global fair trade movement, building equitable and sustainable trading partnerships and creating opportunities to alleviate poverty. The Fair Trade Federation traces its roots to the late 1970s when individual alternative trade organizations began holding yearly conferences for groups working in fair trade. In 1994, the group incorporated formally as the North American Alternative Trade Organization (NAATO); and, the following year, changed its named to the Fair Trade Federation. Since then, FTF has focused on supporting fully committed businesses in order to expand markets for artisans and farmers around the world. The Federation has been an active member of the World Fair Trade Organization (formerly IFAT) for many years. Click here to read FTF’s 2014-2018 Strategic Plan. We value trading relationships that distribute power, risks and rewards more equitably. We believe that trade should be used as a tool to help alleviate poverty, reduce inequality, and create opportunities for people to help themselves. Trade should promote fair compensation, safe and healthy conditions, direct and long-term relationships, transparent business practices, and workplaces free from discrimination and forced child labor. When trade encompasses these practices, the lives of all people and their communities improve. We value communities grounded in trust, moral support, cooperation, and a sense of belonging, making us stronger individually and as a whole. We value the global fair trade movement, recognizing that we are intrinsically interdependent, and believe that our unified voices convey a powerful message. We believe that credibility comes from demonstrating, through open and transparent interactions, the promises we make. We have a responsibility to maintain the highest standards and expectations of ourselves; and, we value organizations that aspire to fully embrace fair trade principles. We value the impact that comes from empowering consumers with knowledge. We believe that when people understand that trade can be a force for positive change they will use their purchasing power to improve the lives of people and communities. 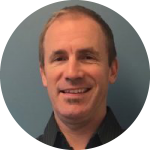 As Executive Director, Chris manages the strategic, administrative, and programmatic aspects of the Fair Trade Federation. He also researches, develops, and implements FTF’s comprehensive educational programs. He facilitates peer mentoring programs and drives & coordinates content for member events. Chris has dedicated much of his professional career toward strengthening fair trade businesses and advancing the goals of the larger fair trade movement. Prior to joining the FTF staff in 2016, Chris spent over 5 years as a Regional Sales Manager for Ten Thousand Villages US, working with fair trade stores of all sizes to be more successful. Chris then led the training team with Ten Thousand Villages for 7 years, which included coordinating and driving educational events, conferences, and fair trade promotion. After joining the FTF in early 2016, Chris has helped shape member education programs, led the coordination and planning for FTF Conferences, and represented FTF at gift shows and events across the US and Canada. He has developed relationships with fair trade professionals from all over the world, including travels to India and Nepal, where he saw the impact of fair trade, first hand. Chris earned a BA in Social Science at Cleveland State University, and a Master’s Degree in Organizational Leadership with a Graduate Certificate in Human Resources from Southern New Hampshire University. Ann joined the Fair Trade Federation as Membership Manager in 2014. She oversees the rigorous membership application process and annual member reviews and assists in coordinating events and member programs. Ann became interested in fair trade after witnessing the direct impact of small business on marginalized slum communities in Bangkok, Thailand. After returning to the USA, she helped start a fair trade retail store in her hometown. Ann earned a B.Sc. in Environmental Management and a minor in Religious Studies at Indiana University in Bloomington. Rachel joined the Fair Trade Federation in 2016 as the FTF’s Engagement Manager. She is responsible for communications, member/public engagement, online presence, and digital & print publications. 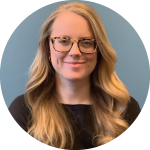 Rachel is also on the steering committee of local advocacy group Fair Trade Philadelphia and the board of directors of Grow Ahead, a crowdfunding platform that supports small family farmers as they address the challenge of climate change in their communities. Prior to the FTF, Rachel worked with fair trade farmer cooperatives in Latin America for Fundación Runa. She also worked in the field of international trade policy in New York and with the United Nations and U.S. government in Washington, DC. 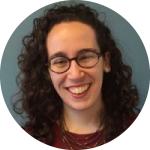 Rachel has an MA in International Affairs with a concentration in Economic Development from George Washington University and a BA in International Economics & Commerce and Spanish Language & Literature from Lafayette College.